Spring has me ready to spend time basking in the sunshine and having picnics with friends. In #whattowear today that is exactly what I am planning for. The eyelets on this top add the perfect feminine touch and easy dresses like this are one of my favorite Spring time staples. I also love this and this for impromptu picnics in the park. Love the blue and the pink int he first outfit. One of my favorite color combinations! These are adorable! I can see myself wearing both of those looks. The sunglasses are a must! Thanks for visiting my blog. I can't wait to see the post you'll talk about dresses for work. These are both great outfits! I love the jewelry especially, though I'm definitely in love with the shirt in the first one. A picnic sounds like a great idea. Maybe this weekend. :-) I'm really loving the d'orsay flats. So cute. Great selection, I really like the first shoes! Thanks for visiting my blog! Great choices! I love the dress and the colourful jewellery. OMGG I NEED THAT 2ND NECKLACE!! SO FREAKIN' CUTE THE COLORS ARE AMAZING!!! Adore both looks that you style, it is daytime casual but still so stylish. I Love Love the gorgeous colourful jewellery pieces in the second outfit. 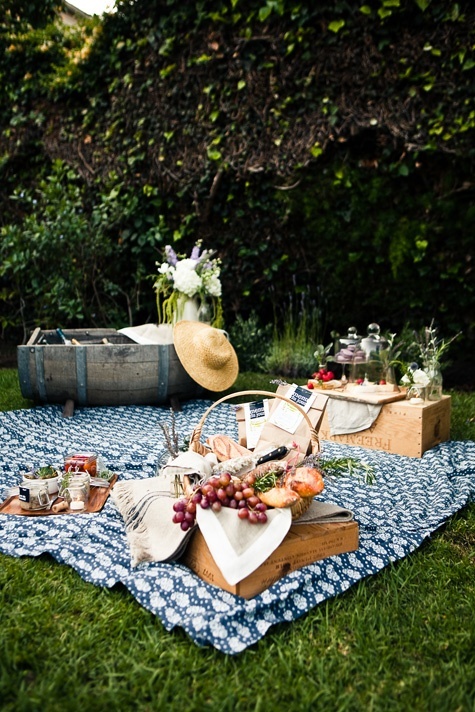 love these pretty picnic looks! Oh gosh! I love the top, skirt, dress and handbag! hahaha They are so pretty! Those leather sandals are so cute! The dress in the second combi is just so pretty and perfect for a picnic! I would love to go on a picnic today! picnic is the best leisure!! Dressing up the basket, picnic mat and flowers :)) N wearing a chic, casual sun dress and VIOLA! That pictnic looks so romantic! I love it. A pic ninc is a great idea! I love that pink skirt and that Kate Spade picnic basket is seriously perfection. I cannot wait to have picnics in Central Park.